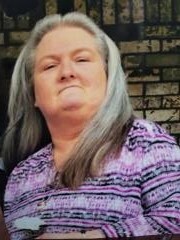 Betty Joe Miller-Howard, age 51, of Stanford, Kentucky, passed away Monday, September 10, 2018 in Danville, Kentucky. Born Friday, June 30, 1967 in Boyle County, Kentucky, she was the daughter of the late O.D. Sr. and Katherine Turner Miller. Betty Joe was a homemaker. Betty Joe leaves behind her husband, Michael Howard of Stanford; one son, Michael Howard (Kim) of Hustonville, Kentucky; two daughters, Sylvia Woodward (Jason) of Danville, and Michelle Howard of Stanford, Kentucky; six grandchildren, Donovan Cooley, Thomas Levi Smith, Chloe Howard, Bella Howard, Cameron Woodward, and Easton Norton; three brothers, Ernest Miller of Danville, James Miller (Lisa) of Hustonville and John Miller (Sheila) of Richmond, Kentucky; four sisters, Connie Asberry, Peggy Crowe, and Judy “Cindy” Maddox (Bill), all of Junction City, and Rita Gilbert of Danville. In addition to her parents, she was preceded in death by two brothers, Roy Miller and O.D. Miller, Jr.; and one sister, Diane Thomas. Cremation Rites have been honored. A Public Memorial Service will be held 7:00PM Thursday, September 13, 2018 at Fox & Friend Funeral Home. The Visitation will be held 5-7PM Thursday at the funeral home.